Today I'll be talking with you about about some HASK brand products infused with Keratin. I'll be discussing the shampoo, conditioner, deep conditioner, and the shine hair oil. Keratin protein is ultra restorative and leaves hair smooth, shiny, and frizz-free. It repairs damage, reduces breakages and helps reduce static. All of these products are Free of: sulfates, parabens, phthalates, gluten, drying alcohol and artificial colors and are ideal for frizzy, dry, damaged, and over-processed hair. Guys, these products smell awesome! The shampoo and conditioner are great. They make my hair soft and shiny. The Smoothing Deep Conditioner is amazing. I apply it to my wet hair in the shower and then put on a shower cap to really let the product penetrate my hair. After performing my other shower duties, I rinse. My hair is super soft and shiny after I use this deep conditioner! I do wish it came in a larger jar or tube. The Smoothing Shine Oil is a nice finishing oil for the hair. I actually apply it when my hair is towel dried and it helps to manage my frizz. I love that all of these products are so affordable and can be easily purchased at Ulta, CVS, Target, and many other affordable stores. 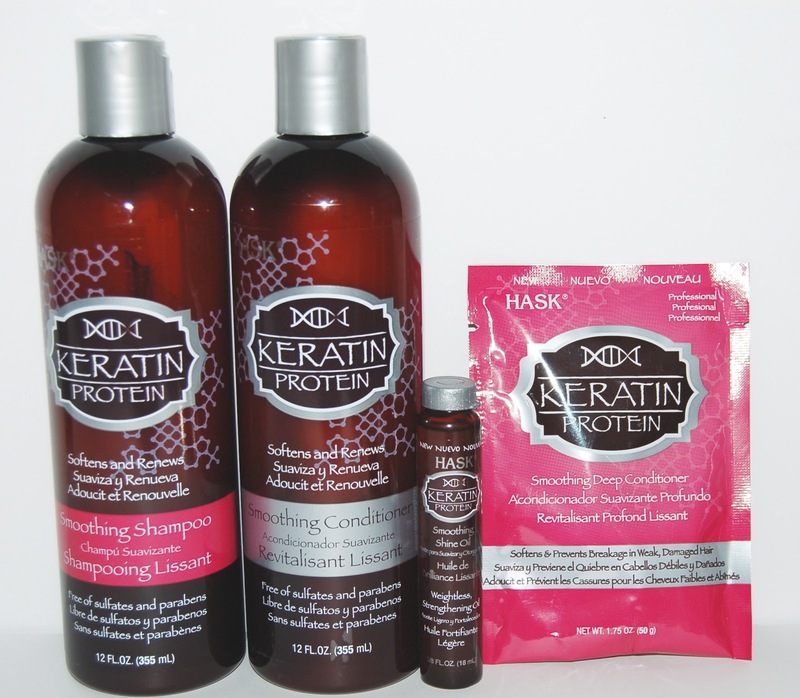 Have you tried any HASK hair products yet? *I received these products for review. All statements are 100% honest and my own.